About me, I live in southern Penobscot County, Maine off the beaten path, off grid. One of my hobbles is Amateur Radio, another is alternative Power, also my work. My house and shop are powered by a combination of Solar Power, Wind Power and a backup generator. 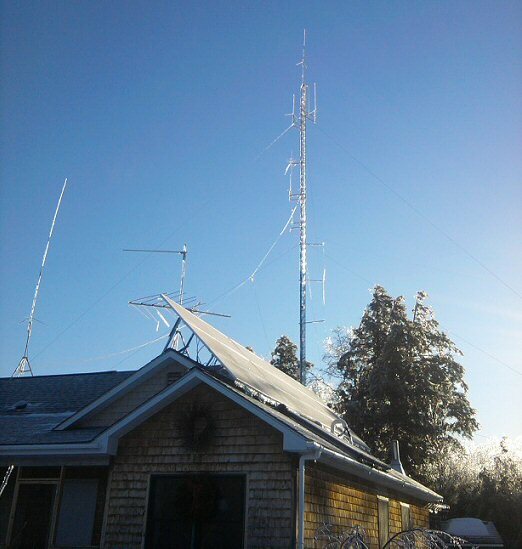 I also run a 220 mhz Amateur Radio Repeater. Here you will find a verity of Pages and links relating to my hobbies. Your welcome to browse around using the drop-down navigation above. Amateur radio or "ham"radio, is a radio service licensed by the Federal Communications Commission (FCC). The FCC has in place rules and regulations that govern the Amateur Radio Service. Amateur Radio is made up of primarily hobbyists,Experimenters, enthusiasts, and many who volunteer their radio communications skills to benefit the community in times of emergency or disaster.